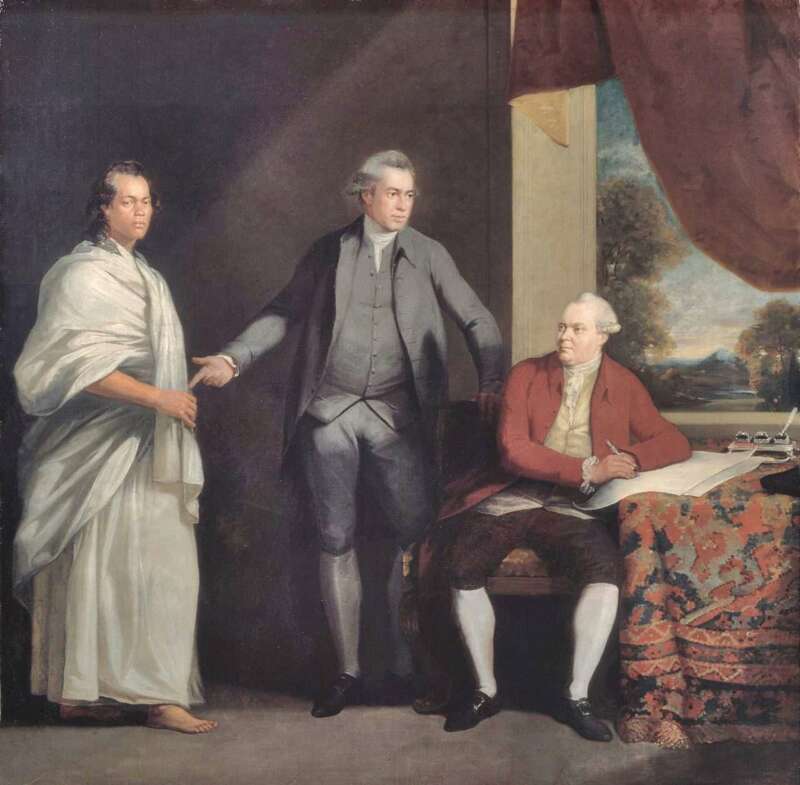 Omai, Joseph Banks and Daniel Solander by William Parry (1742-1791). Bought by Sir Robert Williams Vaughan and sold by Brigadier C.H. Vaughan in 1965. “This conversation piece portrays Joseph Banks, future President of the Royal Society, with Dr Daniel Solander, the Swedish botanist and Keeper of Natural History at the British Museum, and the Tahitian Omai. Banks and Solander were leading naturalists of the day who accompanied Captain Cook on his first epic voyage to the South Pacific in 1768. Omai, a ‘native’ of ‘Otaheite’ had come to England in 1773 on Captain Tobias Furneaux’s ship, ‘The Adventure’, after making friends with the crew.